The only reason I even know about this book is because of the movie that came out, and now I can actually watch since I’ve read the book. I went into it completely blind. I had no clue who the characters were (besides Rachel, obviously) or what the plot was or anything. I’m completely glad that I did, otherwise I would have completely ruined the book for myself. This one isn’t as popular as Rebecca and it does pale slightly in comparison, but that’s because they’re incomparable. The similarities end after the naive main characters. 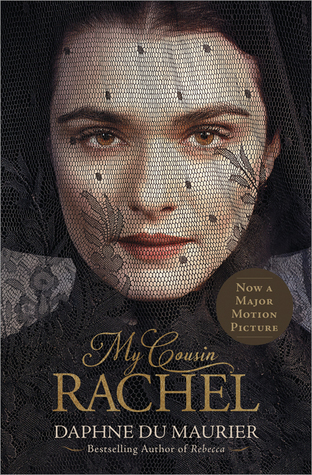 The barebones plot is that Philip’s uncle Ambrose goes and gets married to Philip’s cousin Rachel. While he’s away, he dies mysteriously. Rachel comes home to the house that will belong to Philip when he turns 25 (and he’s almost that age). All hell breaks loose… in a really controlled, British way. Again, those are no spoilers. Even though it’s an incredibly quiet book that can take a bit to get through, everything’s laid out. What happened to Ambrose? Did Rachel kill him? What the hell does Philip think he’s doing? Those questions, and more, spun in my head while I read, trying to piece together the puzzle until the end. And that ending? What a shocker. I didn’t expect it like that. Not as tense as my last Daphne du Maurier book, but I can see why she’s still lauded for her books. She isn’t just a one-off writer. She knows how to spin a gothic tale. I'm on the last week(ish) of my grad program. And, I really want to focus on getting it done and squeeze a bit of relaxing time in. So, I won't be posting things! I'll check in once or twice a day to like/comment on things, but that's it. If you DM me, I'll get back to it sooner tbh. But, I'll see you all on the 29th!